Unlike one of Howe's earlier plays, which had a cast of 44 ("The ’70s -- those were the days," Laurie Anderson used to say in the ’80s), Painting Churches has a cast of three and a single set, and so has tempted many unwary theatres with the idea that it's simple to do. The story is easy to outline -- a young painter (Margaret Church, called "Mags") returns from Manhattan to Boston to help her aging parents pack up their house for a permanent move to the country, and also to paint their portrait. Her parents are blue-blood aristocrats peculiar to Boston: well-born, highly educated, even famous (Mags' father, Gardner Church, was a prominent poet who won Pulitzers) but with depleted financial fortunes. Tina Howe's father, broadcaster and writer Quincy Howe, came from such a Boston breed, and Gardner is said to be based on him, though it seems there's some echoes of poet Robert Lowell as well. Though homey comedy is emphasized in the beginning of the play, the drama that accrues involves both the consequences of uneven aging (one of the older characters is failing in mind and body if not in spirit), and the unresolved relationship of parents and daughter. 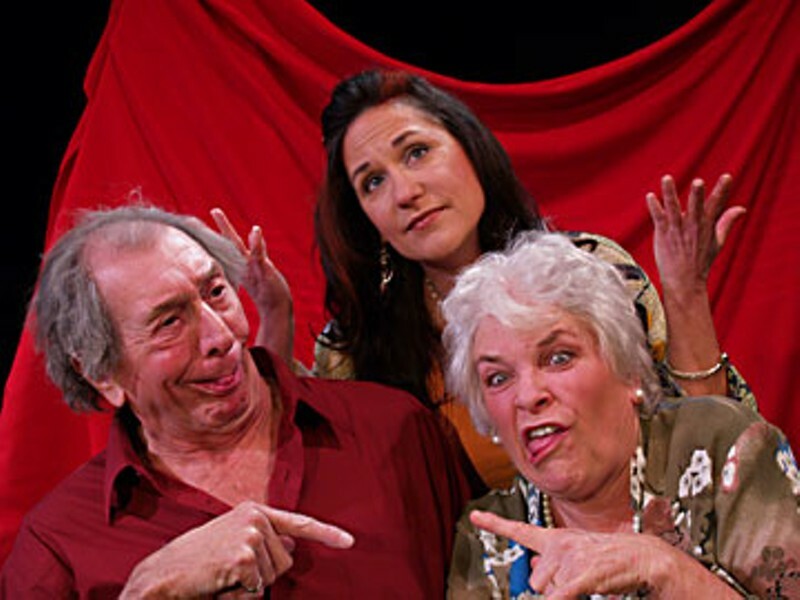 The current North Coast Repertory Theatre production features Bob Wells as Gardner and Lynne Wells as his wife, Fanny. It's a treat to see them act together (I'd call them the North Coast Lunts if I thought anyone knew anymore who the Lunts were.) Bob slithers and squints, balancing the comedy with the character's residual gravity. Lynne is a fine comic partner but can cause shivers with a look -- and she keeps the most consistent Boston accent. Jolene Hayes is energetic and emotive as Mags, and has her own solid comic as well as dramatic turns, including some physical moments. Director Renee Grinnell propels them all around a simple but evocative set by Katie Pratt, filling the stage with motion and emotion. There are harrowing images, like the scattered manuscript pages and the disordered end of an honored life summed up by books being piled accordi anymore ng to color. But for me, these praiseworthy elements -- plus this much-praised play -- did not come together when I saw it opening night. It could be that the tone this play needs is harder to achieve than it might seem. Or maybe this play's time has passed, and except for passages that suggest potential tragedy, it is too overwrought and overwritten to be successfully mounted as much more than sentimentalized melodrama. Though the play and the production did not work for me as a whole, there's some fine writing (with some nasty undercurrents), and there are moments to admire, plus aspects of the characters that may well spark responses and recognitions in the audience. It's certainly worth going just to see Bob and Lynne Wells perform. The problems and terrors of aging are real and worth addressing on stage (and contrary to some assertions, I don't see this play as explicitly or even necessarily about Alzheimer's Disease). But in general, its approach to aging seems a bit antique. 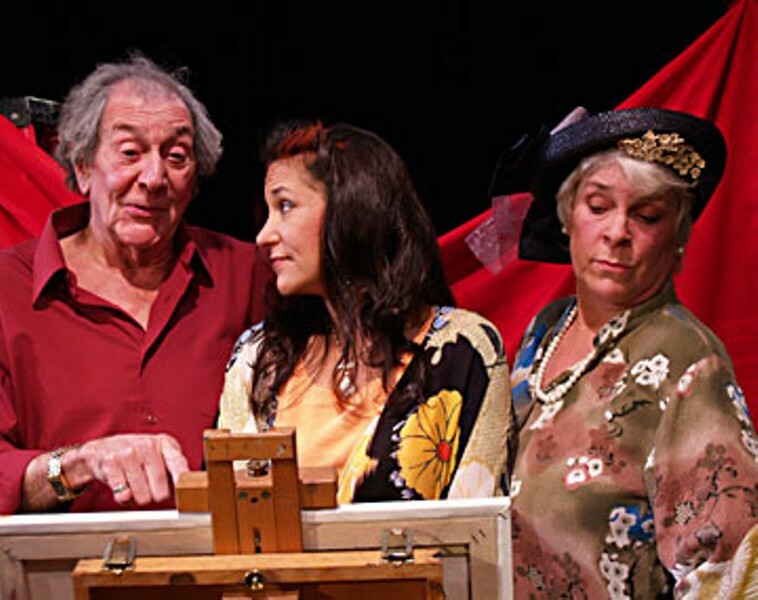 It may be that Painting Churches is a younger woman's play about old age. More than a quarter century later, Tina Howe is in her 70s, with perhaps a different perspective in her new play, Chasing Manet, which has just opened at Primary Stages in New York. It's about two women who escape from their old age home. Coming Up: Redwood Curtain presents Bad Dates by Theresa Rebeck, a one-person show with Tinamarie Ivey on an "idiosyncratic journey of discovery," directed by Dan Stone, at the Arcata Playhouse. It previews Friday (March 27) at 8 p.m., with the gala opening on Saturday, and continues Thursdays through Saturdays for two more weekends, ending April 11. Tickets: 443-7688 or www.redwoodcurtain.com. This is the first of a three-play Redwood Curtain season at the Playhouse. College of the Redwoods presents Moliere's classic comedy of manners, The Misanthrope, in the CR Forum Theatre Thursday through Saturday (March 26-28) and next weekend (April 2-4) at 8 p.m., with a 2 p.m. matinee this Sunday. 476-4558. Arcata High's Once Upon a Mattress and McKinleyville High's You Can't Take It With You have come and gone, but Eureka High School will present Gilbert and Sullivan's The Pirates of Penzance Thursdays through Saturdays this weekend (March 26-8) and next (April 2-4) at 7:30 p.m. in the Eureka High Auditorium. It's $8/$5, but on opening night if you're dressed like a pirate, you get in free.